Cathy Osom has you celebrating a mouth-watering fruity dessert at the heart of its harvest season. That’s coming up on This Land of Ours. 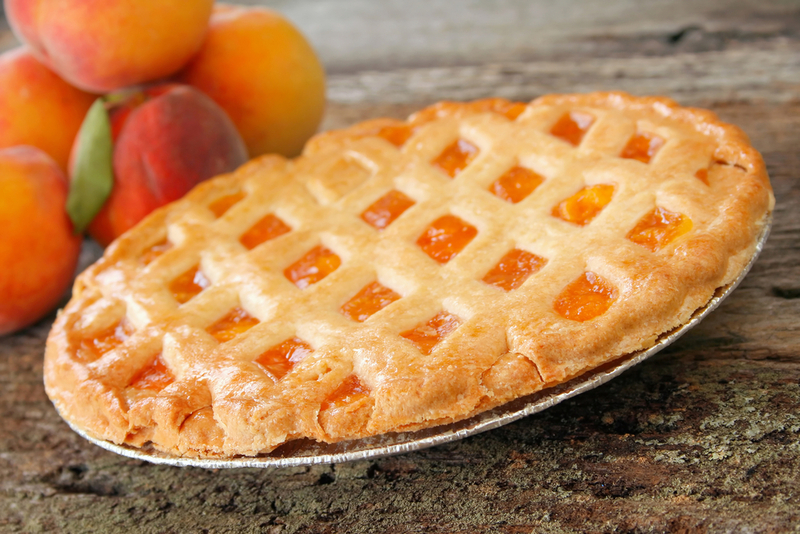 Grab your forks, some cool whip, and perhaps some vanilla ice cream, because today is National Peach Pie Day! A serving of peach pie with ice cream. Celebrated every year on August 24th, and at the peak of the Peach Harvest season. National Peach Pie Day is a great excuse to either enjoy a freshly made slice from your local bakery, or favorite restaurant, or whip up your very own homemade version! 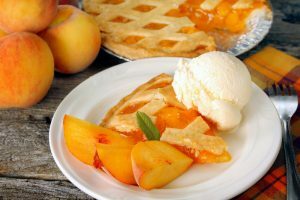 There are so many ways to make and bake a peach pie, including using canned or fresh peaches, and with an open face or double crust. It’s reported that peaches are the fourth most popular fruit in the United States. And the United States is the world’s largest peach producer. More than 300 peach varieties grow and flourish in 23 states in the U.S. The top four states in peach production are California, South Carolina, Georgia and New Jersey. While baking our own peach pie or enjoying it out with others, use the hashtag #nationalpeachpieday when posting on social media.